Mike Finger of the San Antonio Express-News and Geoff Calkins of the Memphis Commercial Appeal tied for first place in the Associated Press Sports Editors 2017 contest in column writing in the 30,000-75,000 circulation category. 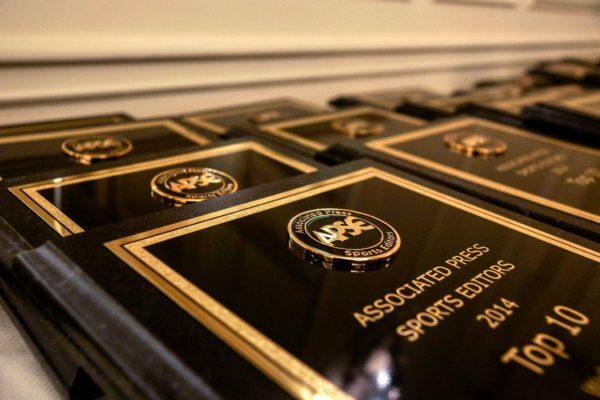 Finger and Calkins will each be presented a first-place plaque at the 2018 APSE banquet. The banquet and awards dinner concludes the APSE Summer Conference June 17-20 at the Marriott Hotel Nashville/Vanderbilt University. The second- through 10th-place winners will receive frameable certificates. APSE column writing entries were judged based on style, writing quality, originality and local appeal.